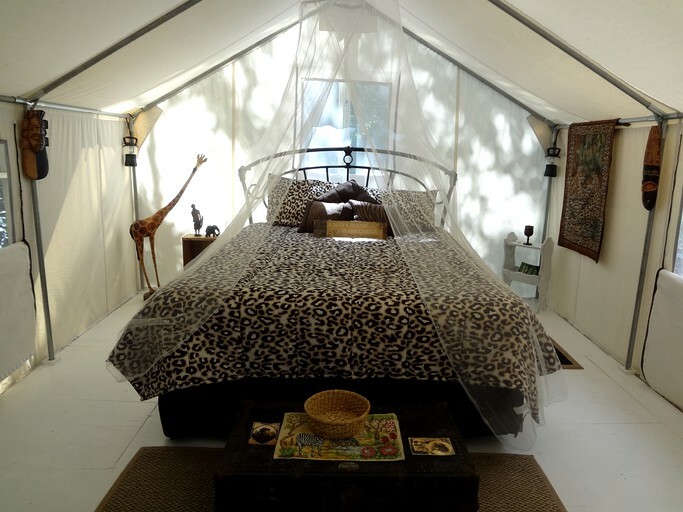 Couples looking for a unique and romantic getaway to the Catskill Mountains will fall in love with this elegant safari tent rental in New York. The tent itself features a queen bed with plush linens provided by the hosts, and there is an attached bath house for use by guests. 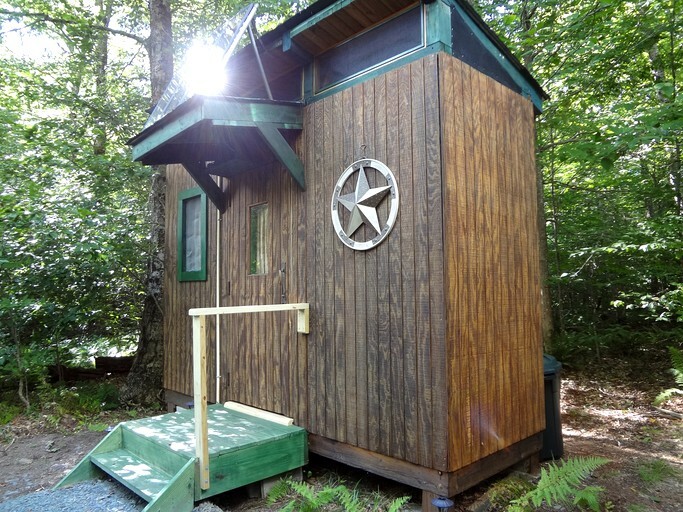 The bath house boasts a sink, shower, and composting toilet, though guests should bring their own towels and toiletries. 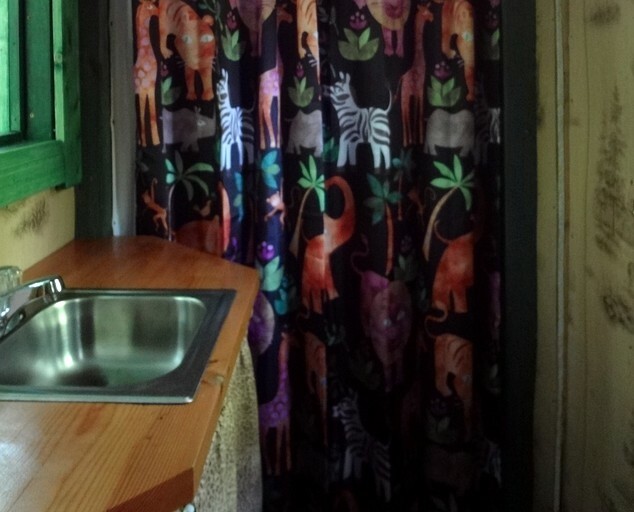 The yurt has a composting toilet, shower, and solar lighting. A large deck overlooks the forest where guests will find a BBQ grill for cooking. 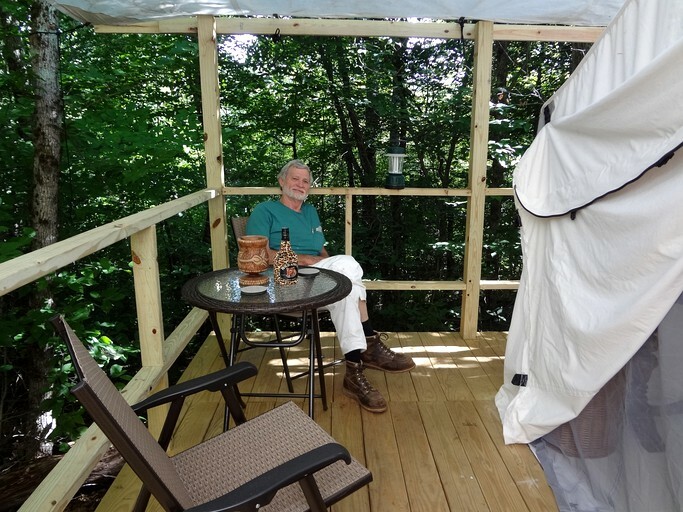 This beautiful, rustic yurt is a five-minute walk from the parking area, which lends to the feeling of wilderness and serenity. Handicapped or disabled glampers will have vehicle access to the yurt if they wish. Please advise the host if you require these. 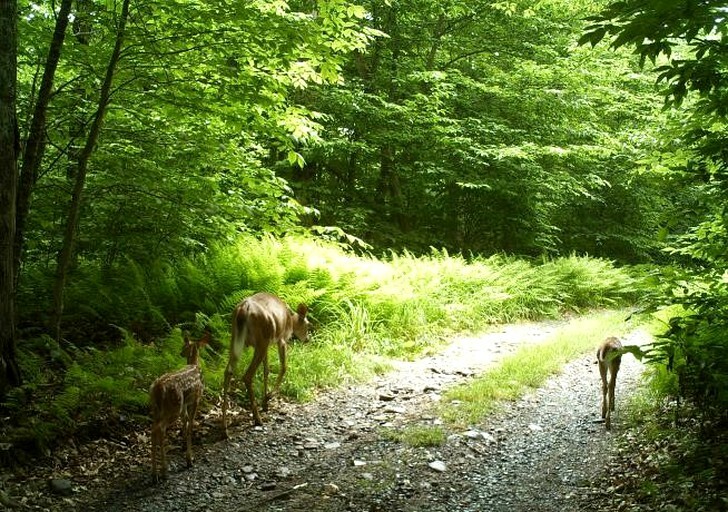 Also, some of the trails are accessible by power chairs, and the hosts will have a couple of ground blinds available for those who wish to archery hunt from them. Other guests may use them for observation points to capture that nature photo. 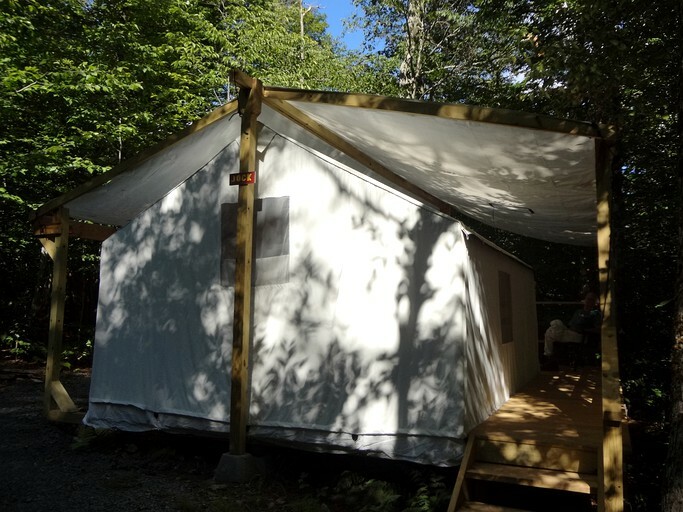 Cross country skiing, snowshoeing, snowmobiling, hiking, fishing, hunting, and total relaxation are just some of the things you'll be able to take part in while staying at this glamping site. The Willowemoc River is nearby and offers world renowned trout fishing and is visited by fly fishermen from around the world. If hunting is your pleasure, the area also offers some of the best whitetail deer, turkey and small game for your pursuit of the sport. Some of the other attractions our area offers are great museums, and personal shopping experiences at some of the local towns like Livingston Manor, Roscoe (Trout Town), and Jeffersonville. For those who want a break from those big box stores, this is a most enjoyable day out, not to mention the fine restaurants in the area for those who want a break from cooking. Guests should bring warm clothing, personal hygiene items, towels and washcloths, and repellent. 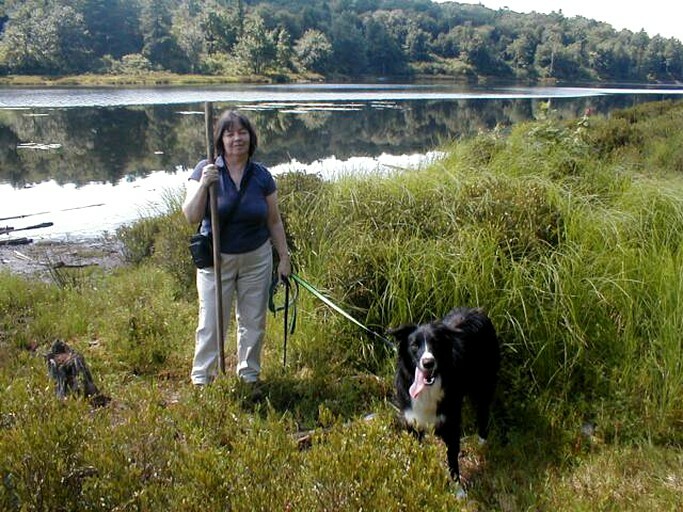 Please feel free to contact this site's owners if glampers have got any questions.